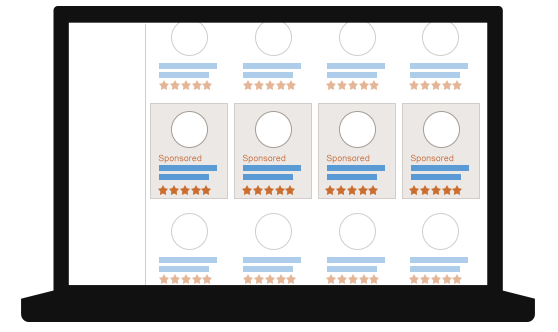 Sponsored Products displays ads in a variety of places across Amazon to make it easier for shoppers to find your products. 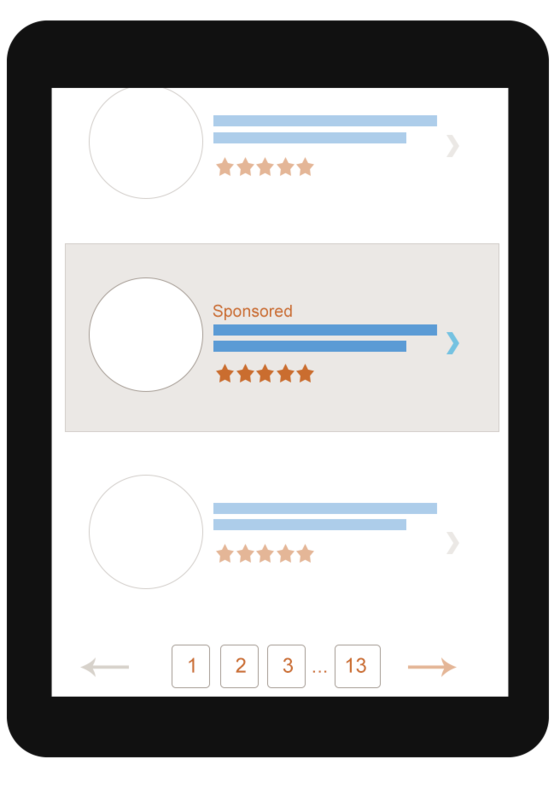 Ads may appear in desktop, tablet, and mobile browser and app placements. 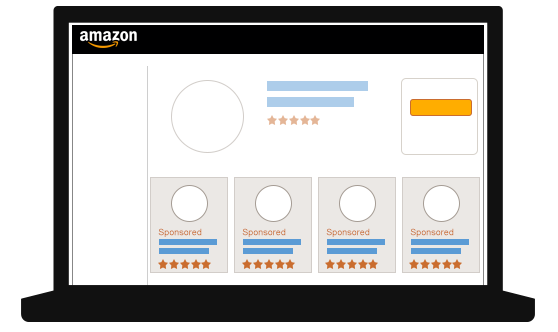 Additionally, Amazon continually tests new ad placements and designs to deliver the best shopping experience possible. 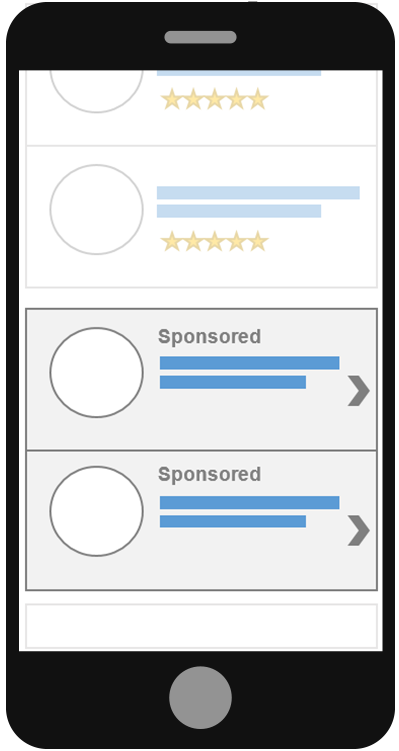 When there are new ad placements, you may see an increase in impressions, clicks, and sales for your campaigns. You can review your results in Campaign Manager and in your advertising reports. 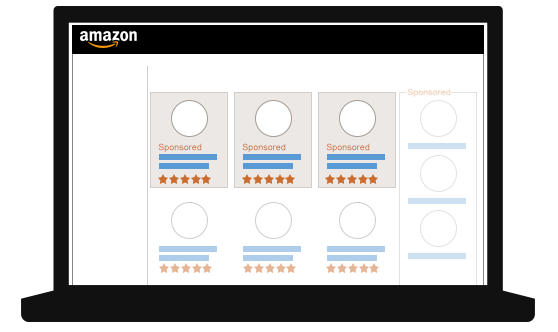 Amazon continually analyzes the performance of new ad placements. 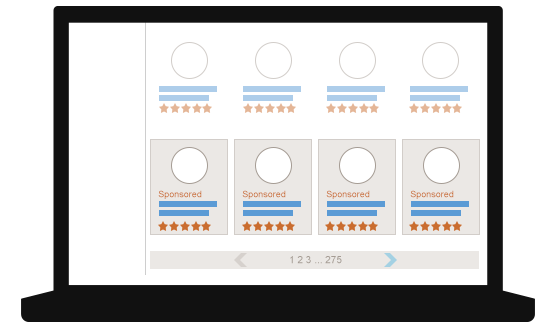 You do not need to make any changes to your campaigns to take advantage of these new ad placements. However, you might want to evaluate your campaign budgets, as the new placements may lead to increased impressions and clicks for your ads, which can result in increased spend. Ads can appear in the top row of search results. Ads can appear in the middle of search results. Ads can appear in the bottom of search results. 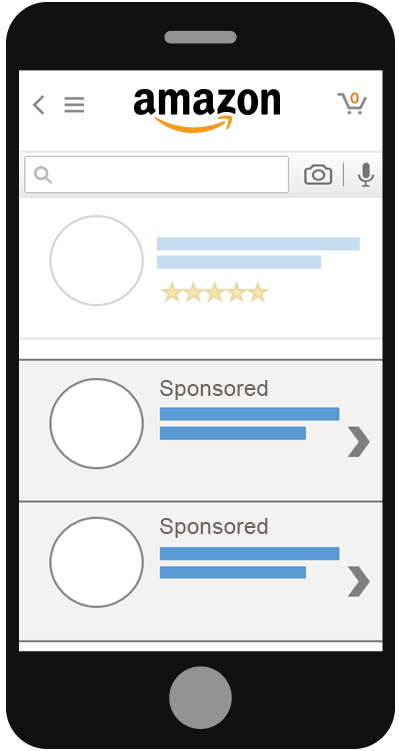 Ads can appear in the last row of the browse results page for category-specific browse pages. Ads can appear after product information on detail pages. Ads can appear in the last rows of search results. Ads can appear in the top of search results and in the last rows of search results.